Home Types What are Whiteheads? What are Whiteheads? Whiteheads are a type of acne that appear as small, round, white bumps on the skin’s surface. This type of acne occurs when a pore becomes clogged with sebum, dead skin cells, and debris. If this clogged pore is covered with a thin layer of skin, it appears white on its surface. Whiteheads commonly appear on the face, shoulders, neck, chest, and back. Our skin needs a certain amount of sebum (natural oil) to protect and nourish skin. But, excess sebum and dead skin cells can risk clogged pores. Don’t be afraid, many of the medicines that treat blackheads are also effective against whiteheads. Whiteheads can be annoying, and they may seem to develop at the worst times. The good news is that we can be prevent whiteheads with a combination of lifestyle changes and medical treatments. Along with papules, pustules and blackheads, whiteheads are among the most common types of acne. They are also one of the mildest forms of acne. And are generally treatable with proper skincare habits and a topical whitehead treatment. Over 40 million people in the United States battle acne each year and no matter the degree or severity. The majority of people who suffer from Acne Vulgaris deal with the occasional whitehead. These lesions can be the cause of great distress, both emotionally and physically. 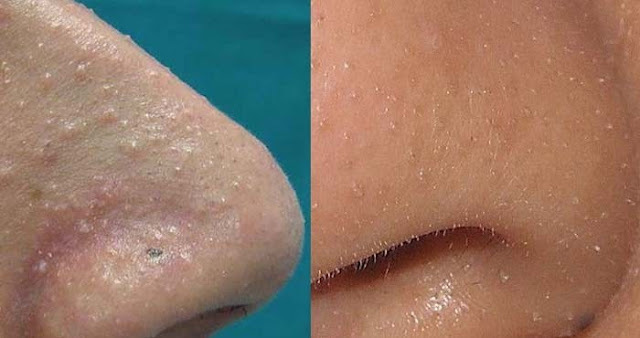 Whiteheads are white, round bumps on the surface of the skin, and may be accompanied by blackheads and pimples. It can range in size, sometimes being so small they’re virtually invisible or growing larger into noticeable acne blemishes. Generally, it aren’t painful, but they can cause embarrassment and social anxiety and it’s important to find an effective treatment to prevent a worsening acne condition and learn how to have clear skin.